Hi everyone! I’m so glad you stopped by! I’m sure we will find we have much in common. My name is Heidi Cooper, and I’ve been married to my best friend, Doug, since 2000. Our plan started out a bit different, but YHVH’s plan was to bless us with lots of kids! We currently have seven kiddos that we homeschool. We also work together, play together, and experience life together. Throw sheep, ducks, a donkey, a horse, a dog, a cat and a few chickens in the mix, and life is never boring. Early in our marriage, Doug taught me quite a bit about cooking, like the wonderful world of the chef’s knife. Now, I love cooking and feeding my family with nourishing and fun food. 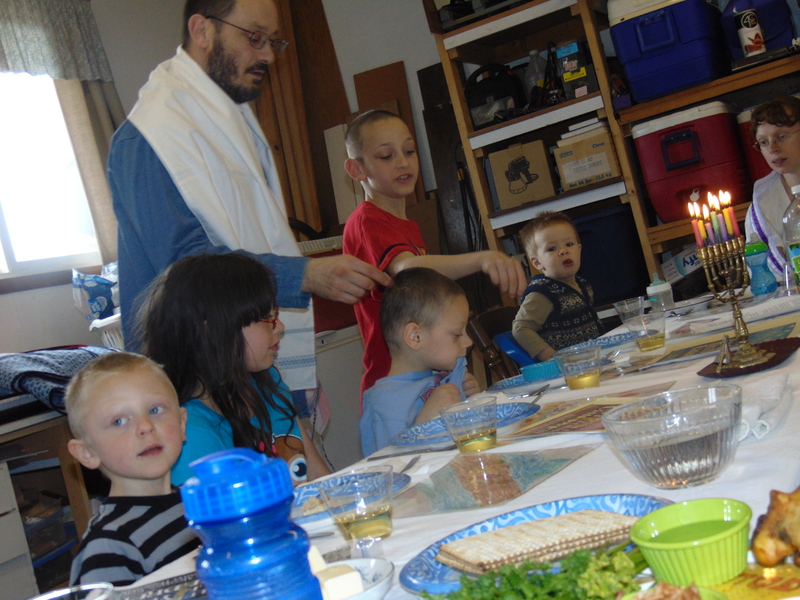 Why did I start Torah Family Living? I’ve been keeping a journal and writing things down since I was little. Thanks to my hubby’s encouragement, I was able to learn more about writing through the Institute for Children’s Literature. I wrote My First Torah, the Torah portions written for children, and The Children’s Ketubah Project, my approach to Torah based parenting. I hope you enjoy them. I am so excited to help families learn about Torah. 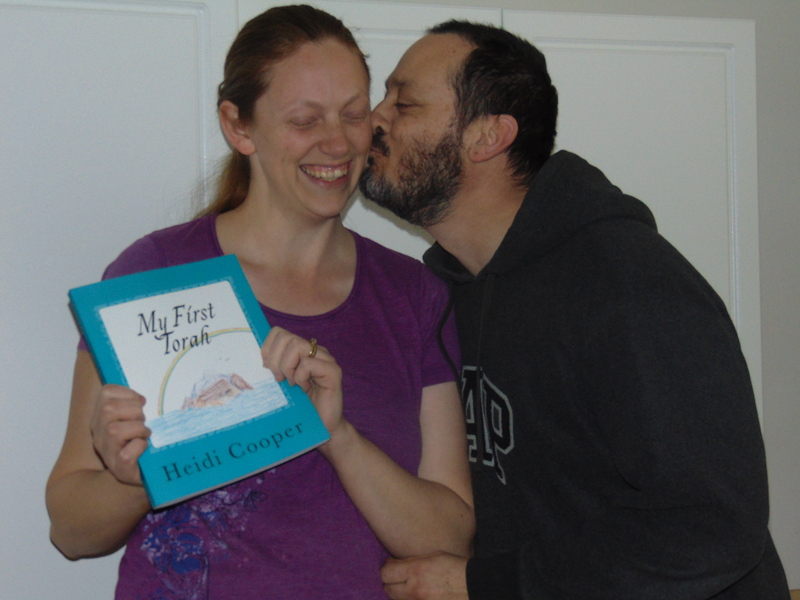 Back when I was pregnant with our fourth child, we were introduced to the concept that Torah still applies. To be honest, I didn’t like the idea at first. I ended up trying to prove that Sabbath had been changed to Sunday. Guess what? It took me ten minutes to realize I was wrong. We had plenty more to learn, but that was the beginning of our Torah journey. Now, I want other families to understand that Torah still stands. Our God never changed. He keeps His promises today, just as He did in the time of Abraham, Isaac and Moses. I want families to focus on applying Scripture, rather than just learning facts. We have learned so much in the last several years. We have learned about historical and cultural context. We’ve learned about genealogy. All of this is fascinating, but at the end of the day, we try to always return to application. How should I now live as a result of what I find in Scripture? If we walk away from Scripture unchanged, our time has been wasted. I loved being homeschooled, love homeschooling my kids, and love encouraging other homeschoolers. Homeschooling is a huge part of my life. My mom homeschooled my sister and I when I was in high school. I absolutely love teaching my children and watching them learn all on their own. I use an approach somewhere between Charlotte Mason and the Robinson curriculum. You can find my Scripture based copywork books here. I’m just a mom that struggles, and I get pretty excited when YHVH helps me. I want you to know He can help you, too! I hope you will spend some time looking around. Here are some posts you may enjoy! Have you enjoyed your visit here? Be sure to sign up for email updates so you don’t miss a thing! You will also receive a great free ebook about getting started on this Torah journey as a thanks for signing up. Would you like to ask me a question? Drop me a line!